What does it take to become an INC 5000 company, when in the outsourced sales world? OR even more than that? Doing business in America today is as competitive and challenging as it has ever been. It’s one thing to have a product that is “one of a kind”, but then you have to have the people behind it to bring its value and possibility to life. People who believe in the mission and the purpose of the organization are what breaths air to a concept. This is just the beginning of our appreciation to our employees and partners that have brought flight and elevated Trelevate to this rare distinction. Every year over 7 million business are reviewed for a variety of what makes them a “fast growth” company. Fast growth can be exciting and terrifying all at the same time. In 2017, Trelevate was in its first year of consideration for this special distinction. Trelevate was blessed as a team to experience expansion into multiple states that year with addition of incredible leadership in cities such as Toledo, Detroit, and Cincinnati. With this came learnings and many challenges as well. Fast growth in multiple cities taxes an organization and stretches its infrastructure to support this expansion. It was year of new learnings and one to celebrate. To exceed your growth expectations the following year, with heavy support and division of your leaderships time, and surpass the growth of 2017 is overwhelming to say the least. In 2018 we expanded into Cleveland, Columbus, Schaumburg, Milwaukee, Indianapolis, as well as our newest expansion into the Phoenix market. Based on INC’s statistics, it has been stated that to win this award in back-to-back years is even harder to achieve than the initial honor. This year at our Victory Circle ( Trelevate’s national conference) we presented our “Back-to-Back Corsair Award”. This plane represented a “Machine that rose above the competition in WWII”. It was the longest running piston fired engine in US history. It was regarded as the most formidable fighter ever with a destroy ration of 11-1. What this plane meant to our country in defending and fighting for a bigger purpose cannot be put into words. However, the fight and relentless pursuit of our people going after what is best for Trelevate, and their families can. It is truly what sets us apart and puts us above our competition. We believe in the character of people, the quest for integrity at all costs and maintaining an elevated attitude so that we can in fact elevate results.  After all, Trelevate’s company motto is, “ Elevating Relationships, Elevating Results”. Cheers to growth, the right way.